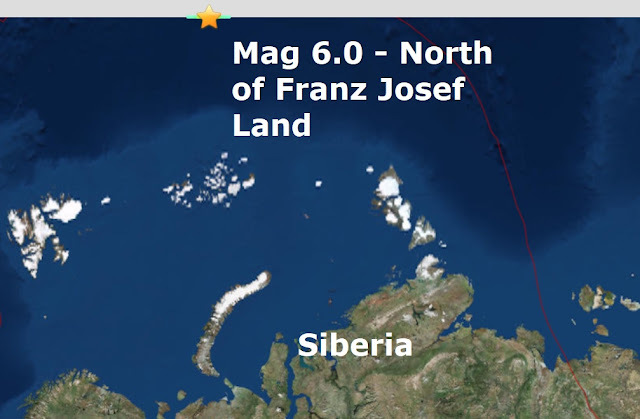 A mag 6.0 - North of Franz Josef Land... So far North the map stops has been registered on the Arctic circle, it is a major quake in a strange place...It is the is the 9th major quake of October and only the 83rd major quake of an extraordinary quiet 2017. As a blogger for the last 10 years I have never witnessed a major quake so far north.